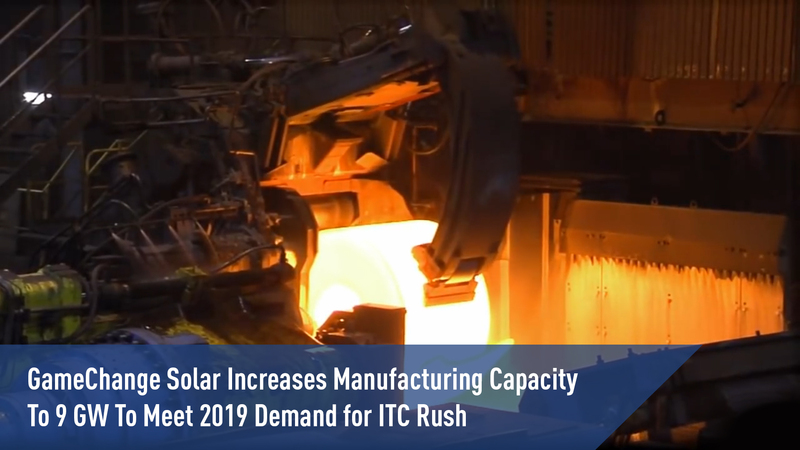 NEW YORK, NEW YORK – February 1, 2019 – GameChange Solar today announced a significant increase in manufacturing capacity to over 9 GW for 2019 for the US market. This capacity is required to adequately meet the significant increase in demand for GameChange Solar’s state of the art industry leading fixed tilt structures and trackers. Developers and EPCs are requiring significant increases in purchases due to industry growth and the need to beat the ITC step down date.